A Marathon Journey and a whole load of friends to help along the way. Sitting on Mystic Moon in Limehouse Basin on a gloriously sunny evening, pinching myself to make sure I am not dreaming, and giving thanks to everyone who helped me get here. It’s been quite a trip getting up the Kennet and Avon, entering the Thames, and then making the awesome voyage down the tidal Thames under Tower Bridge, before that treacherous turn into Limehouse lock. One – it really is not about the destination. The journey is everything. Two – There’s always someone to help. All you have to do is ask. So this is a eulogy to those who tipped up at the right moment and so generously gave their time and enthusiasm to make sure I completed my overwhelming desire to do ‘The Thames Dash, which, quite unwittingly, I had chosen to do on Sunday, 26th April: the day of the London Marathon. 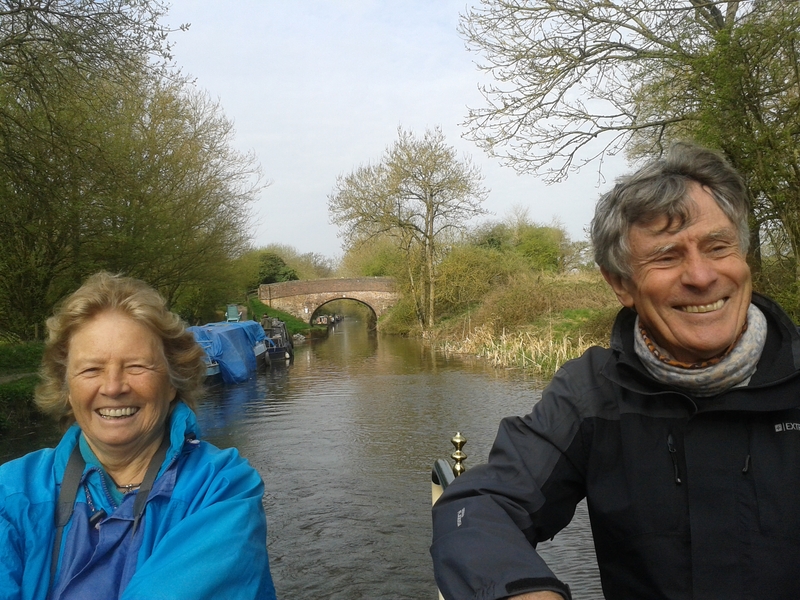 First, thanks go to Janie and Clive for introducing me to James and Belinda, two narrrowboat enthusiasts who had done the trip once before, and therefore were essential crew. James’ emails were terrifyingly detailed, and made me realise that I needed to take the safety of this trip very seriously, including going on a VHF radio operator’s course. To Larry, Andy and Paul for tackling the locks from Bradford on Avon to the bottom of the Caen flight. None had been on a narrrowboat before. To Catherine and Andrew for their Herculean effort to get Mystic Moon up the Caen Flight to Devizes. 28 locks in one day. What can I say. 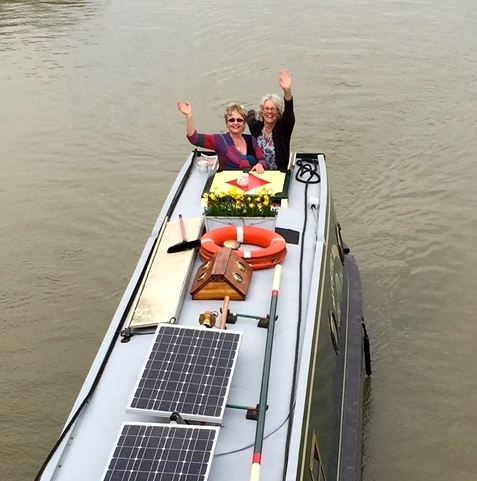 To Peter and Jenny, both over seventy, who joined me in Pewsey after the pop-up Death Café, to make sure I arrived at Newbury in time to pick up Caro who was accompanying me all the way down the Thames. 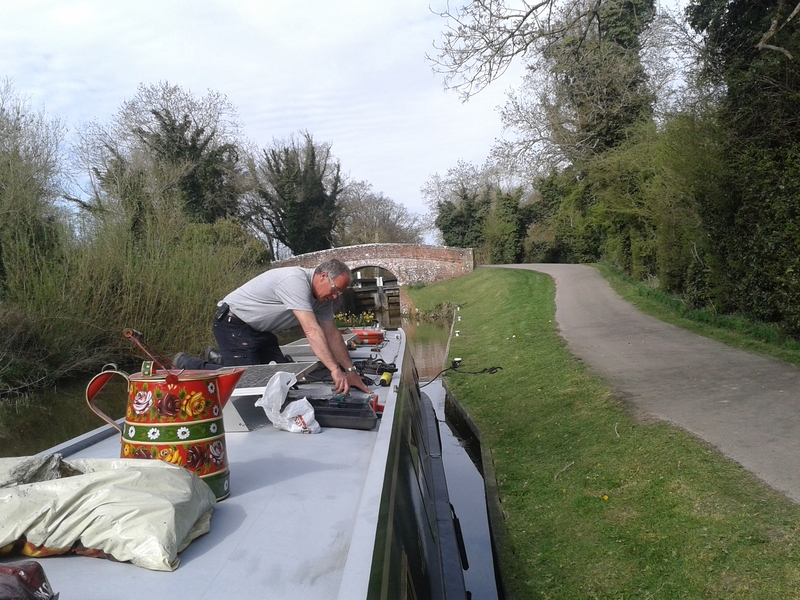 To John for all the work he did on the boat initially, and for walking six miles with an insanely heavy backpack to mend the central rope coupling, which had sheared off outside Hungerford. Without a central rope, I couldn’t have continued. To George and Stef, for attaching themselves to Mystic Moon as we travelled up the locks to Newbury. 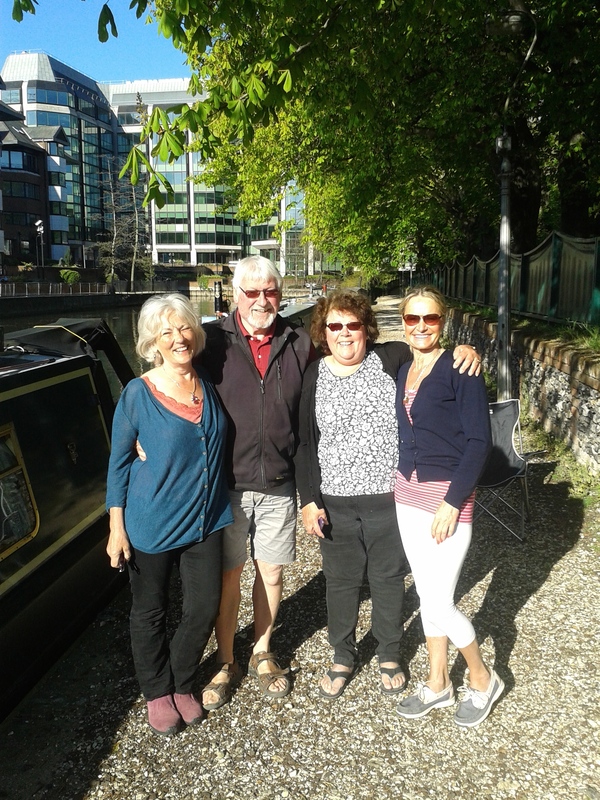 Then waiting until Caro arrived so George could help us through the renowned Woolhampton Lock, and continued to help us right through to Reading. It was a sad farewell when we turned right on the Thames, and they turned left. To Mike and Lucy Muller who scooped us up at Marlow, so we could do our laundry, have long hot showers, sleep in beds, and drown in wine. 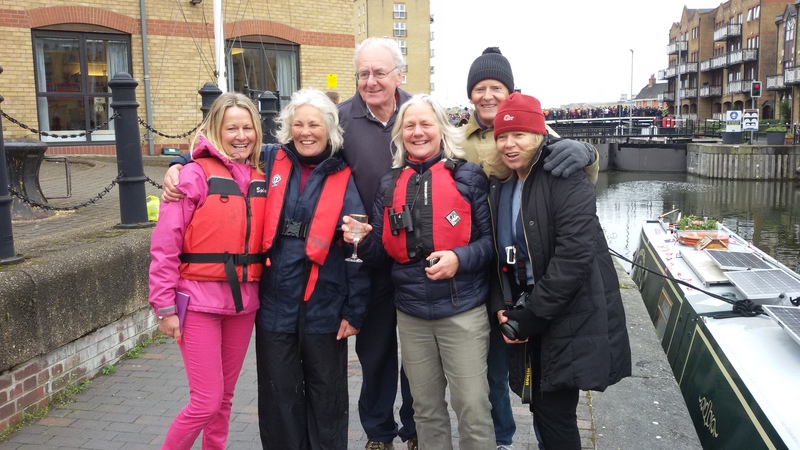 Also to Tim and Maryka who bought us a delicious and much needed lunch when we finally arrived at Teddington Lock, gateway to the tidal Thames, exhilarated but very tired. 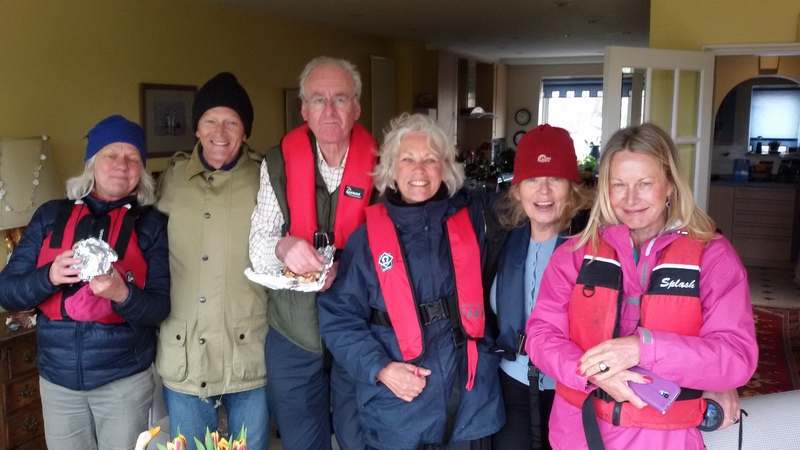 James and Belinda turned up in the evening with enormous fervour for what lay ahead, and with all the safety gear we needed, accompanied by Jane and Clive, who had come to lend moral support. Then it was to the pub for a dinner organised by Sal and Si, to wish us well and hope that we made it one piece. 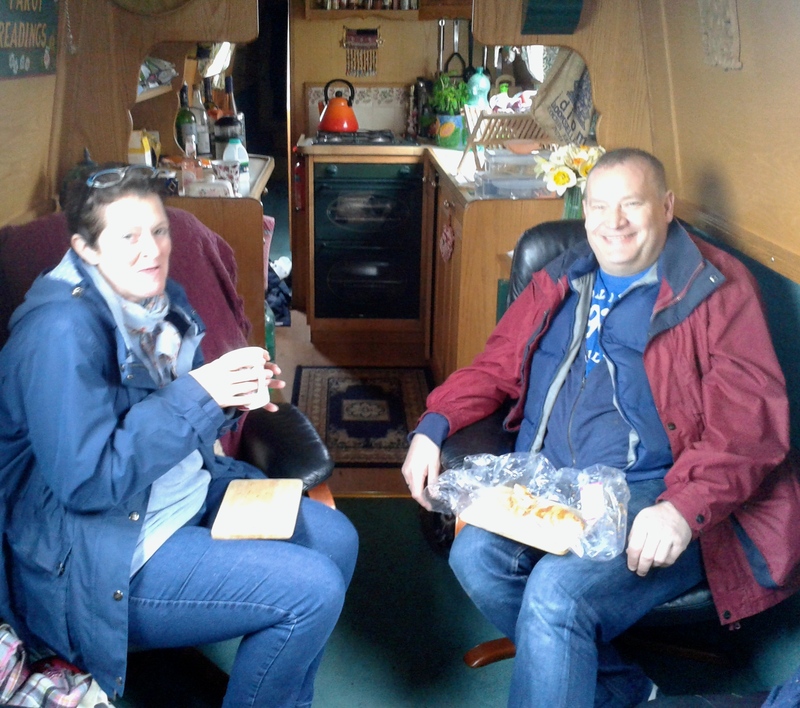 After removing all the furniture from Mystic Moon and piling it up on the towpath, James, Belinda, Clive and Jane lay out their bedrolls and squashed down side by side in the salon. Caro and I threw ourselves onto the bed at the back of the boat, while Dooey, my cat, disappeared into the cupboard under the sink. 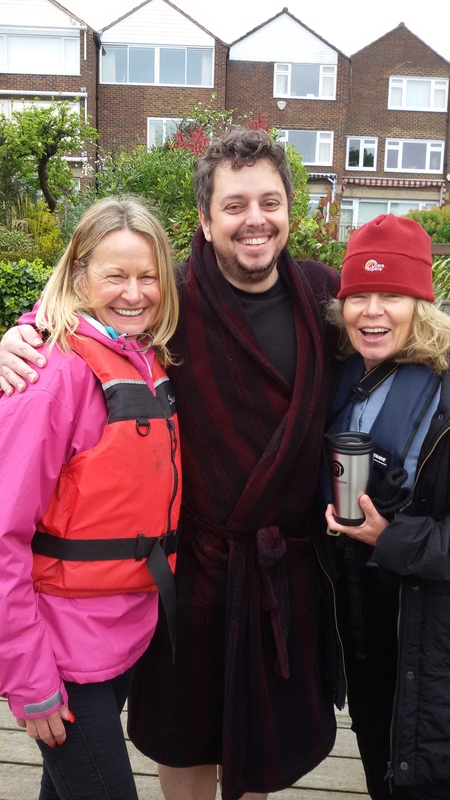 It was not the most comfortable night any of us had spent, but from the moment we slipped through the Teddington lock at 8.15 am the following morning, The Dash became one of the most momentous days of my life, made even more special by mooring outside Belinda’s house in Chiswick, and clambering up a rickety iron ladder to be fed restorative bacon sandwiches by her lodger, the wonderful Marios. 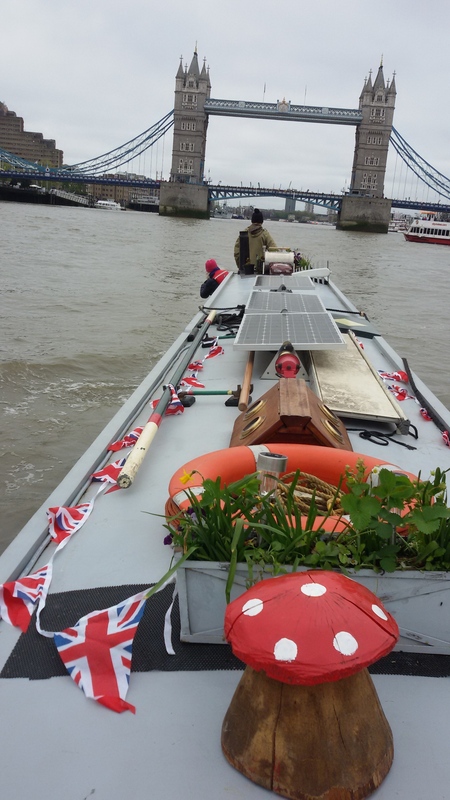 Twenty minutes later, James shepherded us back to Mystic Moon, and on we motored under an increasing number of bridges (waving at Helen and Diana as we passed Wandsworth Bridge), and a rising swell that threw up spray at the bow, and made the boat corkscrew alarmingly. But finally, there it was. Tower Bridge. Passing under this extraordinary art of engineering, packed with people cheering on thousands of marathon runners and waving to us like mad, was one of the greatest, if not the greatest moment of my life. But then we were past, and heading down river. Another twenty minutes, and we saw the entrance to LImehouse. 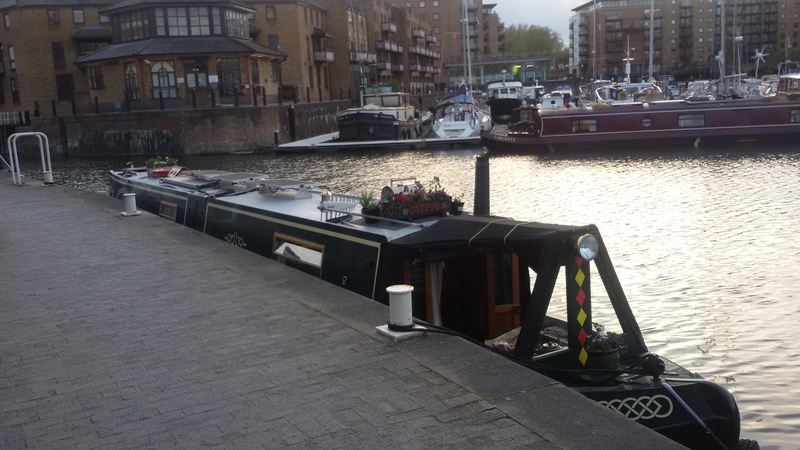 I handed the tiller over to James, who did a fantastic job crossing the Thames and nudging Mystic Moon’s nose against the tide so we could glide with great dignity into Limehouse lock. A hand appeared with a glass of champagne, and I looked up to see Sheila, my friend who had come all the way from Cirencester to cheer us home. So thank you everyone for what you gave and what you did. I will treasure this marathon trip of my own for the rest of the days. I couldn’t have done it without you. Finally, a special, special thank you to Caro, for a week of utter hilarity and ultimate sisterhood. Priceless. This entry was posted in All posts and tagged death cafes, Mystic Moon, pop-up death cafes, The Thames Dash. Bookmark the permalink. ← First three pop-up death cafes: End of life care. Friends. Sudden death and suicide. What Sue leaves out of her delightful story is how her unceasing and inspiring enthusiasm ensured we too enjoyed every minute. And what a trip….thank you SO very much for inviting Belinda and me to join you for the epic last chapter of your trip. Huge thanks and I look forward to reading about your next adventures!